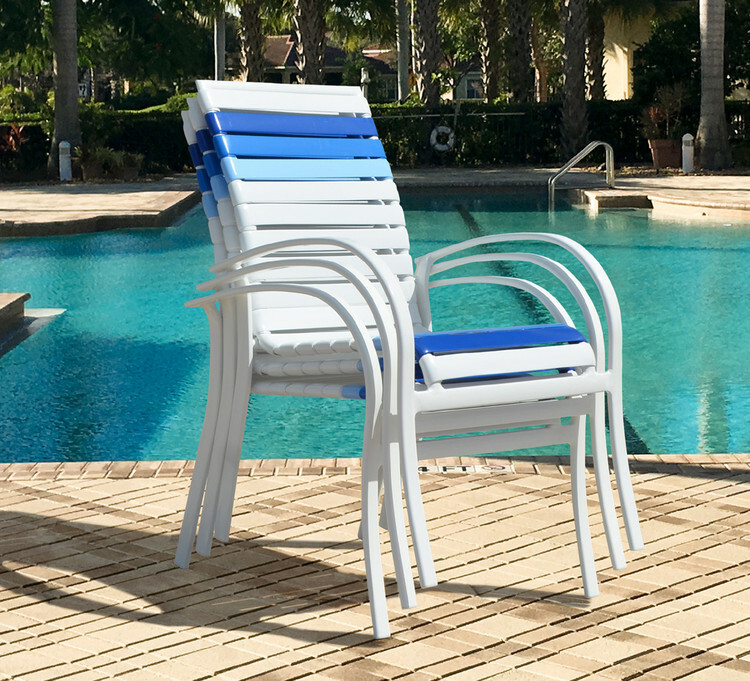 The Watermark Living™ Pacifica Collection all-aluminum strap furniture offers an exceptional value without losing comfort and style! It is built for easy maintenance and the double wrapped straps add extra durability. It is the perfect furniture for total outdoor exposure and can be used for a comfortable backyard space as well as any commercial applications. The aluminum will not rust and the modern powder coat finishing technology will not peel, chip or corrode!